Maybe you're not really concerned with how many resources your clothing uses up when it's being made. But maybe you should be. We're not advocating going around stark naked, but considering the environmental consequences of unsustainable manufacturing once in a while can't hurt. 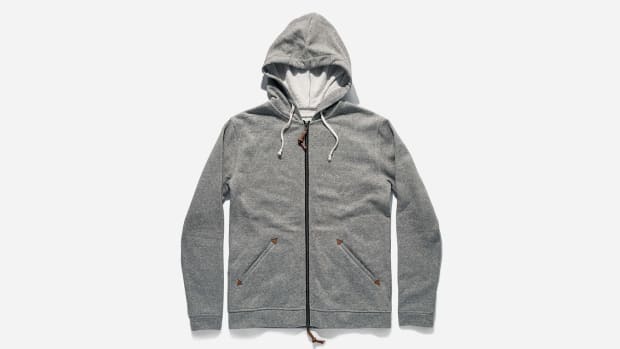 And unlike in years past, this doesn't mean you have to sacrifice looking cool. S.F. 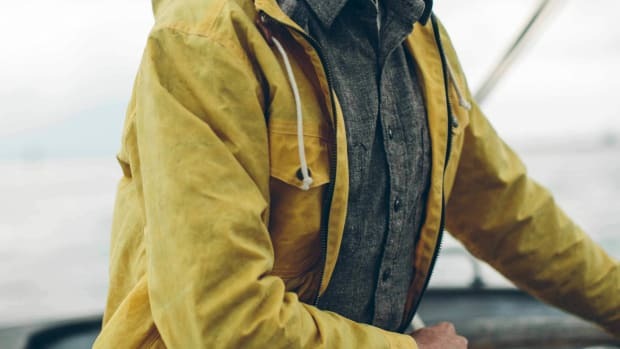 based apparel artisans Taylor Stitch have always been on the vanguard of good style, and lately, they've also been more attuned to the amount of water and energy traditional clothing factories burn through for no good reason. Hence they've not only ushered in a revival of once-reviled polyester, but they've put recycled polyester on the sartorial map to boot. 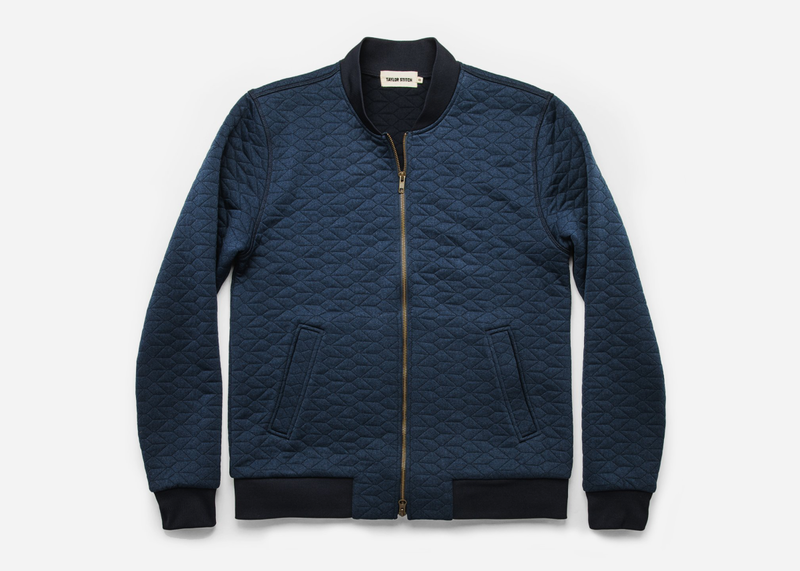 And their latest creation, the Inverness quilted bomber, shows why this is one material that can go the distance. 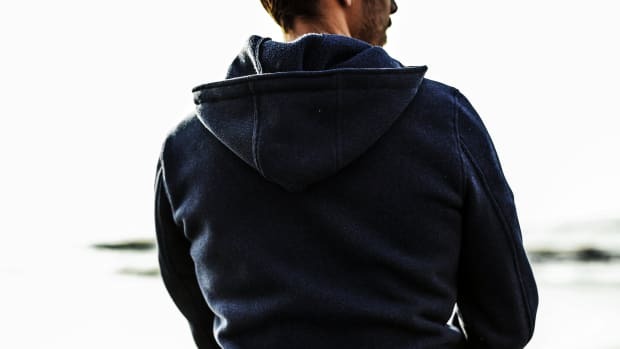 Recycled polyester retains traditional polyester's impressive insulating properties, water resistance, and durability, but requires 30-50% less energy to produce, and of course, relies exclusively on recycled materials. 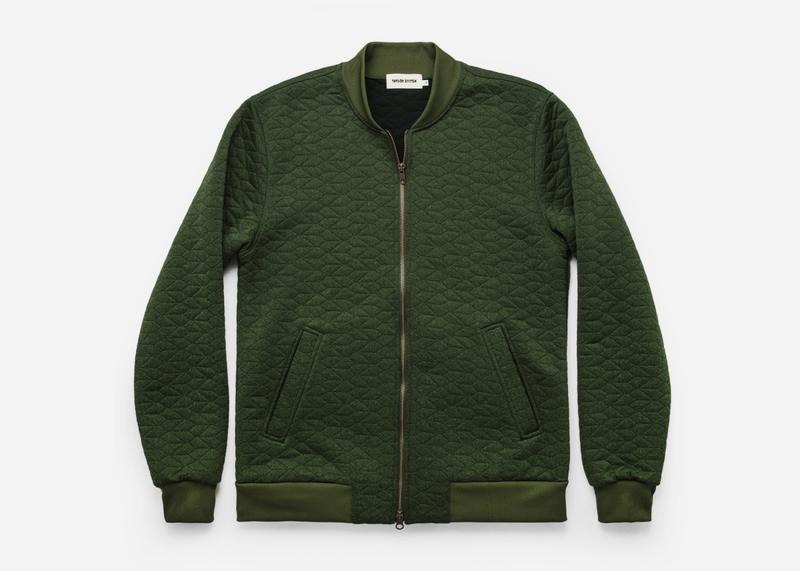 Taylor Stitch has also classed it up with a knit finish, unique quilted pattern and a silhouette inspired by both military gear and classic workwear. 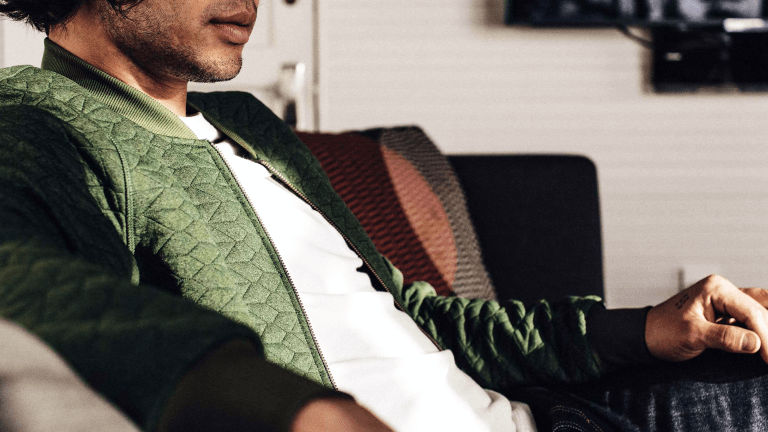 The Inverness comes in olive green and navy blue and is available for pre-order now at a significant discount with delivery slated for late April – early May.